Butterfinger candy bars have long been one of my top five favorite candy bars. Snack size, miniatures, king size.. whatever size, you can't go wrong. A Dairy Queen Blizzard with chopped Butterfingers mixed in... heavenly! 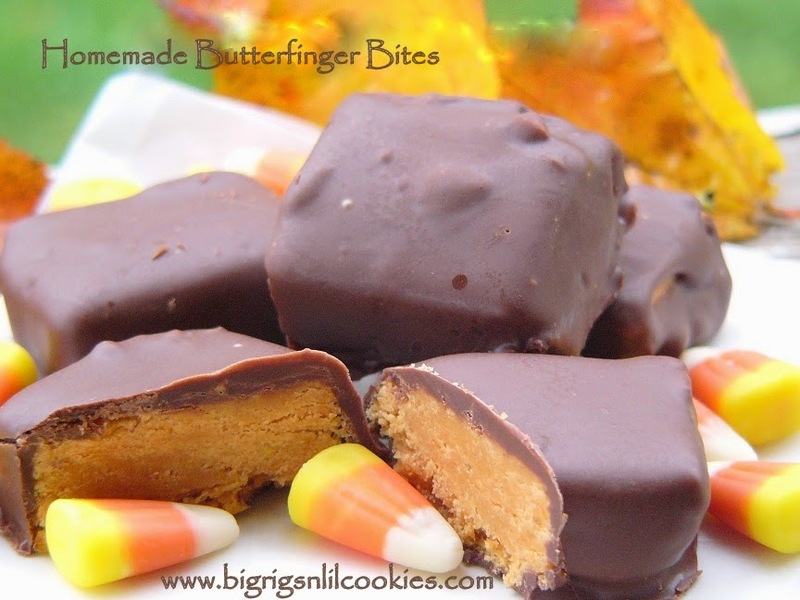 With my love for Butterfingers, I was curious about this recipe when I first stumbled across it. Could you really make a Butterfinger candy bar with 3 ingredients? In my own kitchen?? Well, finally a year later, I bought the candy corn. Step one accomplished! I surfed through numerous recipes, comparing them. All very similar, just slight variations. I finally decided to go for it! I was so worried that I was throwing away a jar of peanut butter, and a bag of chocolate chips for this. No worries though... It was a complete success! All of my friends who have tried these, LOVE them. 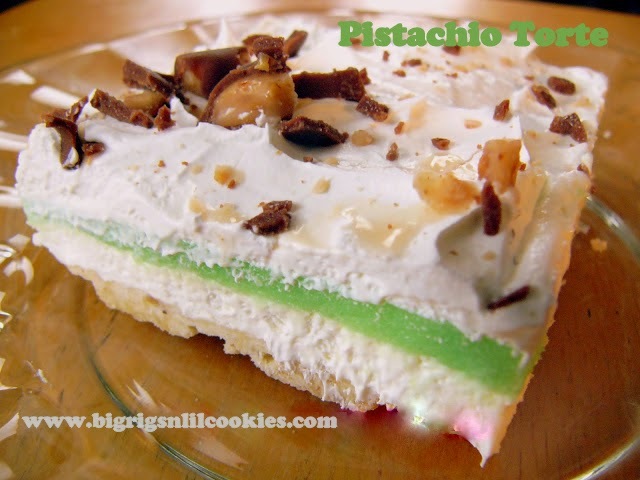 The texture is not as crisp as the candy bar, but the flavor is just amazing! Line 8”x8” pan with wax paper. Melt candy corn in microwave for one minute. Stir, and continue in 30-second intervals until melted. Stir after each interval. Stir in peanut butter. Spread mixture into pan and cool completely. Cut into bite sizes. Trim edges if necessary. Melt chocolate according to package instructions. If needed, add one tablespoon vegetable shortening to thin the chocolate. With fork, dip each "bite" into melted chocolate and completely cover. Place on waxed paper until set. Store in airtight container. My next trip to the store will be for these three ingredients! This looks so good! I can't wait to make them. Thanks so much for linking up to Foodie Friends Friday. I hope you come back next week with another wonderful recipe! By the way, I am now following your blog and facebook! These look so good! Thanks for sharing at Foodie Friends Friday! Please come back on Sunday to VOTE! I do like the texture of a butterfinger, but I'd be very curious to try this out. Pinning! This looks so great! Butterfinger is, by far, my FAVORITE candy bar. I cannot wait to try this! I have chosen this as my host favorite for Foodie Friends Friday. Stop by www.familyfoodfinds.com this Friday to see your shout out! LOL, I worry that I'm just throwing away ingredients EVERY time I cook! These sounds super yummy, and very dangerous. :-) Butterfinger Blizzards are one of my favorite treats too! I bet you could freeze a couple of these and then blend them into some ice cream to make your own Blizzard... mmmmmm. Shared! Sounds so easy and looks to die for! The only blizzard I'll eat from DQ is a Butterfinger one. And for some strange reason, I only like the fun sized Butterfingers, not the normal, large ones. These look better than the store bought! I will have to go to my neighbours to make this, as I don't have a microwave. Can't wait, I love butterfingers!